Love is a poet's meat and potatoes. Here are choice bites from the Beats' best. Romance might not be our generation’s forte. Between background checking dates on social media and deciphering cryptic, emoji-filled messages, there’s a lot to be desired in the courtship department. Not to mention all the Netflixing and chilling, which has only further convoluted the wooing process. If you need a few tips for how to get by in the modern dating world (and let’s face it, who couldn’t use a few), who better to turn to than Beat poet Allen Ginsberg. Though his poem “Howl” gets most of our attention due to the infamous obscenity trial, his lesser-known, confessional-style poems reveal some enlightening romantic advice. 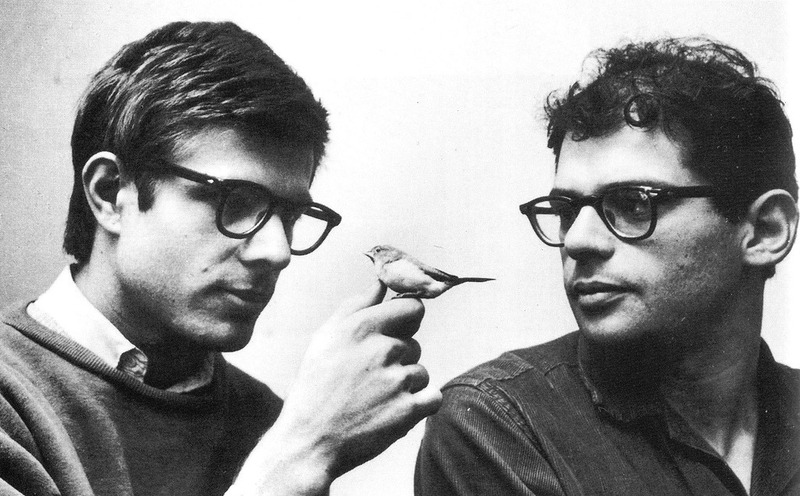 These quotes will help you navigate any situation modern love throws at you, courtesy of Allen Ginsberg. Everyone has their faults. Look, we’re not saying that you should lower your standards, but you should make an effort to humanize them. If you like someone, you’ve gotta accept the weird, neurotic, imperfect parts of them, too. And vice versa. Speaking of acceptance, this goes for your significant other’s loved ones, too. Odds are your family isn’t all roses either, so do your best to grin and bear it when controversial topics (i.e. politics, religion and money) arise at family functions. Or when your S.O.’s sibling has one too many beers. Hold out for a relationship that truly makes you happy. Though being single gets a bad rep, you don’t need to prioritize being in a relationship over the quality of the relationship. Think of it this way, ending a mediocre relationship opens up the possibility of building a much happier one. Is this it? he thinks. you settle for her or go? Wounded pride is often a casualty in relationships. And when things don’t work out, the best thing you can do is pick up your pride and put on your pants, one leg at a time. After all, you’re only human. Even if you are just watching Netflix, you don’t really need to scroll through your Instagram feed at the same time, do you? Every once in awhile, adopt an “out of sight, out of mind” mentality toward your phone so you can embrace your inner Beat, live in the moment and pay attention to the heart beating next to you. Don’t fall victim of your smartphone. -- "I Am a Victim of Telephone"
Let’s be clear, this is long distance’s only redeeming factor. This lesson is brought to you by Ginsberg’s poem "Sunflower Sutra." To summarize Ginsberg’s ode to the the individual, we’re all capable of persevering in the face of hardship (like the sunflower existing despite its polluted environment). So, if you’re going through a particularly hard breakup or a rough patch with your S.O., don’t forget that you’re a sunflower. Above all, love yourself. Other people will treat you how you treat yourself; so make enlightenment and self definition a priority. If you don’t, someone else will for you. Life’s too short. You might die tomorrow; so don’t waste time being angry. Pick your battles and fight for what you want, but don’t do so at the expense of your overall happiness. -- "Don’t Get Angry with Me"
Take a cue from Ginsberg and embrace each person as their own microcosm. Not only is it beautiful and romantic, but you’ll also learn a lot about them (and yourself) in the process.